OPHIUCHUS IS A LARGE CONSTELLATION. It is NOT a SIGN of the ZODIAC! 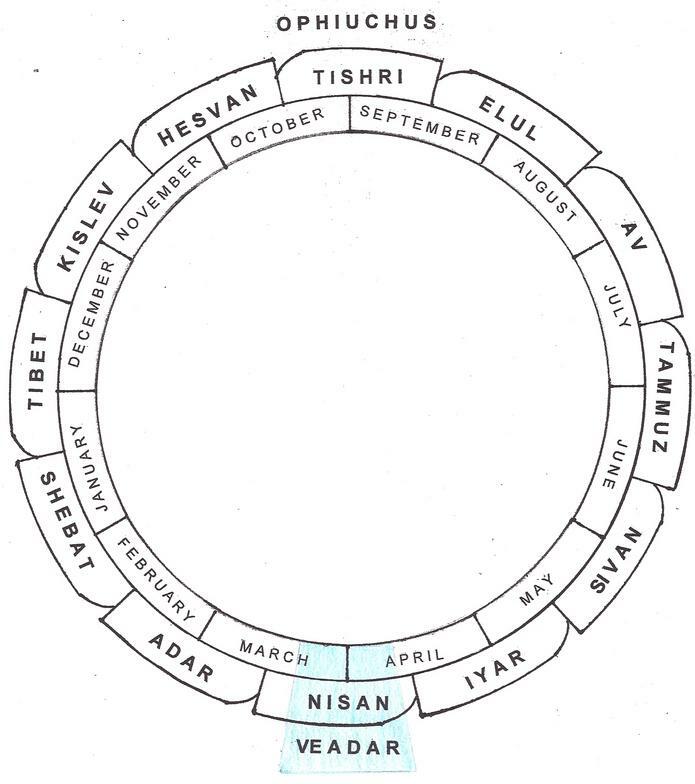 The Jewish Calendar Months are in the Outside Circle. The comparable Gregorian Calendar Months are in the Inside Circle. Veadar is the Thirteenth Jewish Month. More later. Ancient Mythology claims the infant Hercules killed two serpents sent by Juno to kill him as he slept (this was Satan's pre-copycat distortion of the Nativity of Jesus as depicted in Revelation 12:1-9). The root word Ophiouchos from which the name Ophiuchus originated, literally means "holding a serpent." Ophiuchus (ō-fē-yū΄-kŭs) is a 13th Constellation that was not included in the Zodiac by the Babylonians. 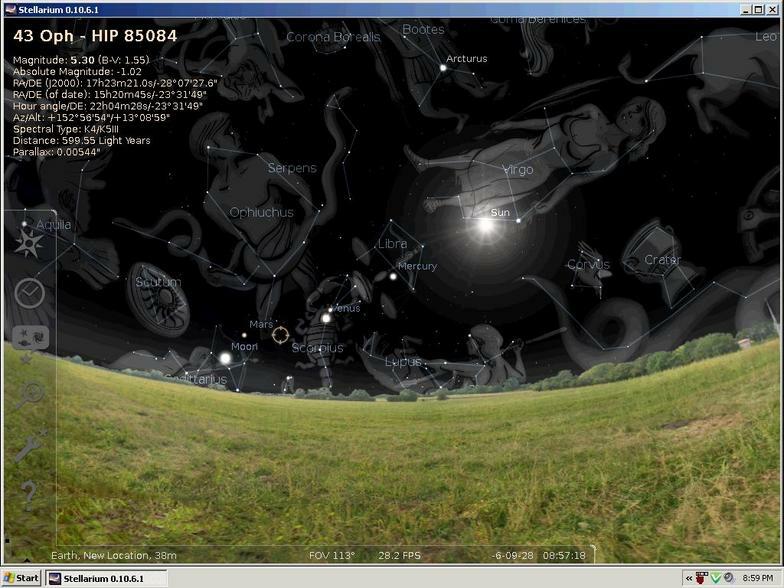 In 6BCE, the sun passed through Ophiuchus during the Festival of Sukkoth (Feast of Tabernacles). Jesus was born on, September 28 & Tishri 15, in 6BCE, which was the 1stDay and High Sabbath of Sukkoth and also a 7thDay Sabbath. Jesus was circumcised during the morning of Shemini Atzeret (the 8thDay), after three "Wandering Stars" (Jupiter, Saturn & Mars) had led the Wise Men to the Babe during the night. This was also a Lunar and Solar Sabbath. Regarding the Nativity of Yeshua/Jesus: Six Jewish Festivals predetermined September 28th & Tishri 15, in 6BCE, as the date for the Messiah's Birth to occur. See Forty-Two Months, chapters 11 & 12. Revelation 12:1-5 depicts TWO SIGNS in the autumnal constellations that heralded the Nativity of the Messiah. A Great Sign appeared in heaven: A woman clothed with the sun, with the moon under her feet, and on her head a garland of twelve stars, see Revelation. 12:1 NKJV. The "Great Sign of the Woman" included Virgo, Libra, Ophiuchus and Scorpio. 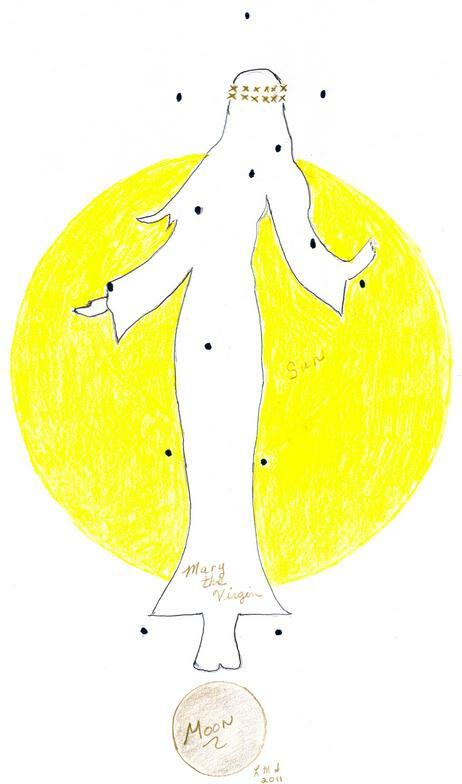 The Virgin was clothed with the "Sun" during Elul 6-Tishri 6. The Balance under her feet is the "Full Moon" of Tishri 15. The 12 stars of Ophiuchus is the "Garland" on the Virgin's head. The Scorpion is the "seed of the Serpent" that bruised the Infant's heel, see Genesis 3:15. Another sign appeared in heaven: a great fiery red dragon having seven heads and ten horns, and seven diadems on his heads, see Revelation 12:3, NKJV. The Second Sign is the original Serpent of Old (i.e., Satan the Adversary) being restrained in Ophiuchus. The Serpent will be released during the Tribulation (i.e. Daniel's 70thWeek) to wreak havoc on the earth. The Serpent is not accorded a constellation of its own. The Infant (the Messiah) is restraining the Serpent in Ophiuchus. The genus ophiophagus is the King Cobra, the deadliest of the Middle Eastern snakes. Revelation 12:3-5 confirms the Constellation of Ophiuchus encompasses the Serpent's sign. A visitor to this Website asked: "What does the "Balance" (Libra) have to do with Mary the Virgin standing on the Moon?" ANSWER: The JEWS REQUIRE A SIGN! The SIGN is in this answer. 1stEnoch 74:12, declares the Sun and Stars, exactly determine the Solar Year. 1stEnoch 82:7-9, declares the Moon and Stars, exactly determine the Lunar Year. Leviticus 23:2-3, JPS 1955, refers to the Solar Sabbaths; These are My appointed seasons. Six days shall work be done; but on the seventh day is a Sabbath of solemn rest, a holy convocation. Leviticus 23:4, JPS 1955, refers to the Lunar High Sabbaths; These are the appointed seasons of the LORD, even holy convocations, which ye shall proclaim in their appointed season, (i.e., they are Sabbaths regardless of on which day of the week they might fall). GOD said; Let there be lights in the firmament of the heaven....and let them be for Signs. (Paraphrased from Genesis 1:14, JPS 1955). GOD placed the Constellations (NOT the Zodiac) to depicte the "Signs of the Coming of the Messiah." Satan has distorted their meanings through his diabolic teachings of the Zodiac. The Jewish Festivals revealed the predestined alignment of Sabbaths during which the Messiah would fulfill the following Constellatory Signs. Satan's versions of the signs depicted by the Constellations are portrayed in the pagan Astrological Zodiac. NOTE: The placement of the Jewish Lunar Months on this Website are not necessarily in the exact position or sequential order of the Gregorian Calendar. 1. Mary the Virgin (Virgo). She was ready to give birth. 2. The Balance (Libra). The New Moon of Tishri aligned the Full Moon of the Lunar High Sabbath of Sukkoth (Tabernacles) with the Regular 7thDay Solar Sabbath, which provided the "Balance" between the Solar and Lunar year. Scorpion. The Sting of Death would bruise the heel of the Messiah at the Crucifixion. 4. 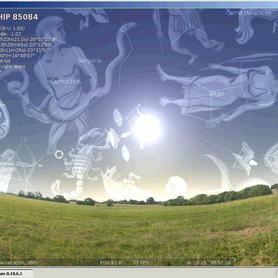 The Serpent was restrained (Ophiuchus). The Messiah would crush the head of the Serpent at His Resurrection. 12 Stars of Opiuchus are the Garland on the Virgin's head. Ostensibly, refracted light from the three conjoining "wandering stars" lighted the way and then stood over where the young Child lay. IN OTHER WORDS: Jesus was born and circumcised while the Sun was passing through Ophiuchus. So the conjoining of Jupiter, Saturn, and Mars was the "Star of Bethlehem" that was conjunctional in Ophiuchus during that same time. See Chapter 12 in Forty-Two Months. Picture from Stellaruim.org Dated 10-15-06 B.C. Picture from Stellaruim.org Date 9-28-06 B.C. Credit: Mount Wilson Observatory StarMap program by Bob Donahue. The LORD strategically caused the Jewish Lunar High Sabbaths to purposefully align with the 7thDay Solar Year Sabbaths; when His Appointed Time for the Nativity of Yeshua/Jesus had arrived and must take place. The Crucifixion and Resurrection of Yeshua/Jesus took place when the Lunar and Solar years were identically aligned with the Exodus Lunar and Solar years. The End-of-the-Age events will occur when the LORD strategically aligns the Lunar and Solar years and High Sabbaths for that purpose. This is a chart of the constellations. The Crucifixion and Resurrection of Yeshua/Jesus took place when the Lunar and Solar Sabbaths were aligned like they were at the Exodus. Historical records place the 46th year of Herod's refurbishing of the Jewish Second Temple in 27CE(AD). Based on the new moon of Aries (the RAM), Nisan 10 occurred on April 4/5 in 27 CE. This was the day that Yeshua/Jesus was selected by Mary, Martha's sister, as the Passover Lamb; and it was The Great Sabbath when the Passover lambs were also selected at the Exodus. 8-weeks later, on Sivan 8 & May 31/June 1, the disciples were filled with the Spirit of the LORD. The Jews call that day Shavuot (sha-vu-oat') and the Church calls it the Day of Pentecost. In Exodus 16:1-31 & 19:1-2, we are clandestinely advised how the Jewish Lunar High Sabbaths were positioned with the Solar 7thDay Sabbaths for the events of the Exodus to take place; from the selection of the Passover lambs on Nisan 10 (e.g., April 4/5), to the foot of Mount Sinai on Sivan 8 (e.g., May 31/June1), the 50th day. 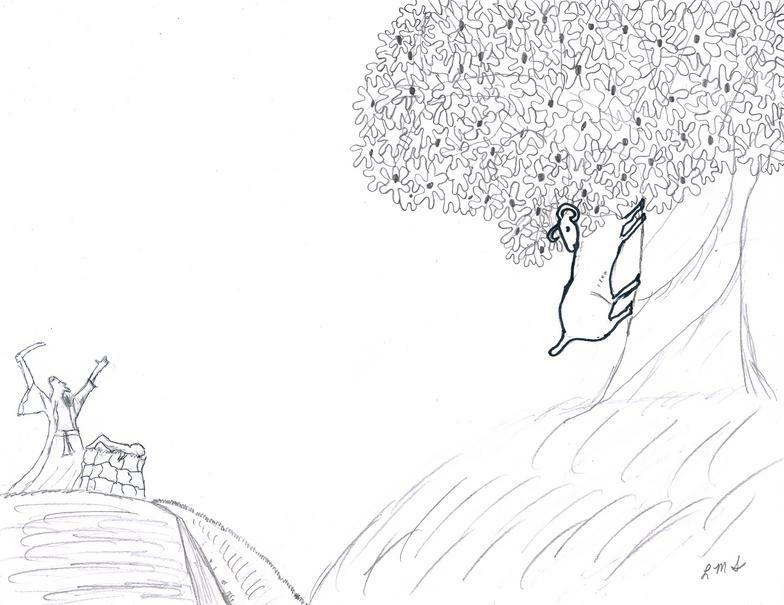 Aries (i.e., the Ram) is the first constellation to appear on the ecliptic following the vernal equinox; and the sun passes through Aries during the Jewish month of Nisan. Yeshua/Jesus was the Ram Abraham saw when Isaac was bound on the altar. 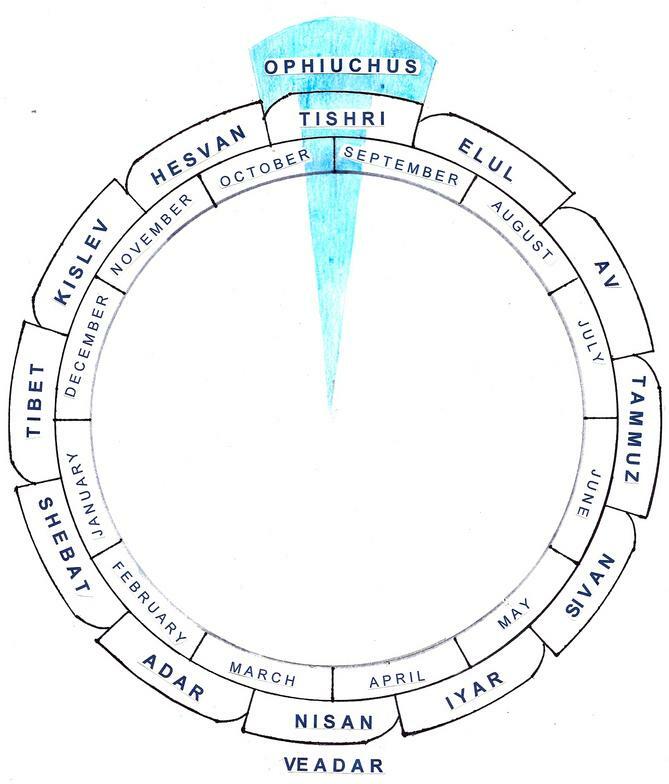 Taurus is the second constellation on the ecliptic, and the sun passes through Taurus during the Jewish month of Iyar. The six bright stars of Taurus are used in Satanic worship today. However, there are seven stars in the constellation of Taurus that ancient Zodiacal adherents of Taurus touted as the seven daughters of Atlas; the 7th dim star being a lost daughter. But the seven stars represent the seven weeks (i.e. the 49-days) that are counted between the 7thDay Sabbath following the High Sabbath of the Passover on Nisan 15, and the Day of Pentecost on a Sunday, Sivan (6th-12th), the 50thDay. The dim seventh star represents the many times the Pharisees and Sadducees celebrated Pentecost on separately days, and the few times that the Day of Pentecost was celebrated by both the Pharisees and Sadducees on the same day. Gemini is the third constellation on the ecliptic and the sun passes through Gemini during the Jewish month of Sivan. The two legs of Gemini are the twin loaves of leavened bread that were offered at the Temple on Shavuot (Day of Pentecost), which represent the Torah (i.e., the Pentateuch) being written on the hearts of the Jews first; and then also on the hearts of the Gentiles. proclaims the work of His Hands! Day after day they pour forth speech! Night after night they reveal knowledge! where their voice is not heard!